The trends are clear: patients and institutions across the nation are concerned about skyrocketing drug prices. This post offers some information about drug pricing, explores the notion of market intervention, and proposes a series of responses to high pharmaceutical costs. If specialty pharmaceutical prices are dropping jaws, generic drug prices have at least managed to raise eyebrows. In 222 generic drug groups, prices increased by 100 percent or more between 2013 and 2014, according to Forbes. As generic drugs have long provided payers some respite from other more expensive products and services, rising prices in generics like Mylan NV’s albuterol sulfate—which increased about 4,000 percent from 2013 to 2014—are well worth the concerns. 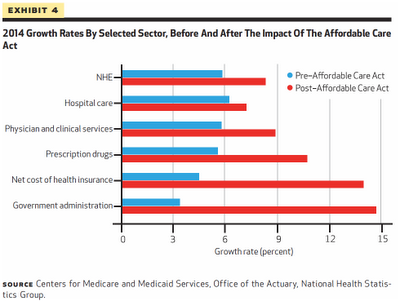 The increase in drug costs—projected by the Centers for Medicare and Medicaid Services Office of the Actuary to be 12. 6 percent in 2014—has far outpaced inflation, which has hovered between zero and 2 percent over the last three years; it has also outstripped growth in other medical costs. 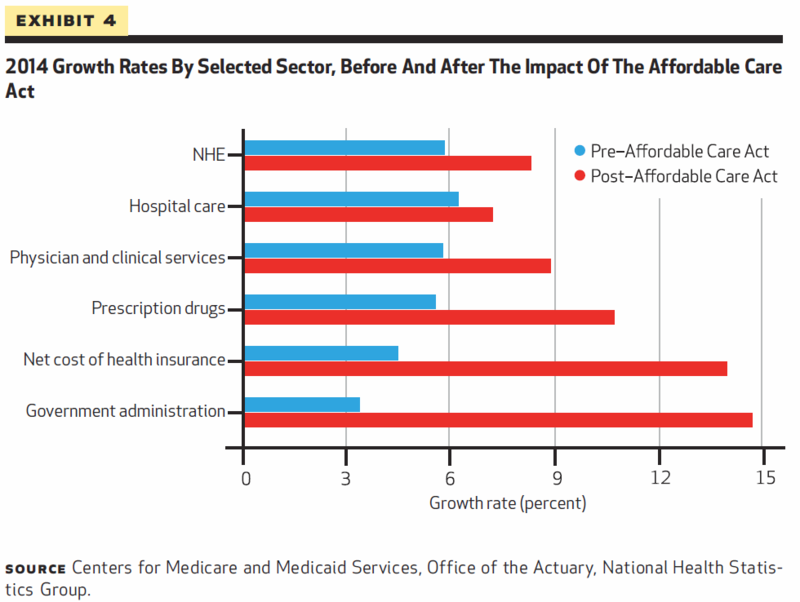 Pricewaterhouse Coopers (PwC), in its 2013 annual medical cost trend report, projected overall cost growth to be 6.5 percent in 2014 in the large employer market. In stark contrast, a recent Express Scripts analysis declared a 13.1 percent increase in prescription drug spend in the same period. On the surface, it appears as if drug manufacturers are unduly milking the udder of American health care reimbursement, even as it runs dry for insurers and providers. Yet, this is hardly a crime. The behavior of the pharmaceutical industry is tolerated, suggesting that drugmakers have sufficient rationale for pricing products. In contrast, a Kaiser Health Tracking Poll last month found that 73 percent of Americans find the cost of drugs to be unreasonable, and most blamed drug manufacturers for setting prices too high. Some particularly high cost medications for hepatitis C have even forced insurers and Medicaid programs to limit usage of the drugs. The financial success of Big Pharma, medical innovations brought by its investments, absence of price intervention, public concerns, reactionary measures that affect clinical care — together these phenomena paint a puzzling picture. While research and development can indeed carry large costs and span multiple years, there is simply more to pricing drugs. Many modern-day assessments cite the value that a new drug brings to patients, along with savings incurred by the health system, as more relevant factors that drive drug price. BloombergView columnist Megan McArdle says that drugmakers set prices based on whatever the market will bear, especially since demand for some therapeutic drugs is relatively inelastic — in other words, demand does not change much in response to price changes. Pharmacoeconomic studies may seek to quantify the value of a drug by calculating the estimated cost of an intervention per quality-adjusted life year (QALY) added by the drug. Cost savings resulting from a drug are often calculated through the cost of clinical services, hospitalizations, and other less effective medications that untreated patients would otherwise incur. Since the main buyers of the drugs are private insurances and the government, pricing decisions do not generally consider an individual’s purchasing power. On the contrary, manufacturers offer many expensive medications free of charge to patients with inadequate insurance coverage, which has earned Big Pharma some applause. If rare value and lack of alternatives drive high cost for specialty drugs, what could cause increases in generic drug prices? One reason could be drug shortages brought about by facility issues and production slowdowns due to tightened quality controls. Another theory is that consolidation among drugmakers or the departure of existing manufacturers is limiting competition in the generic drug market. Other theories about price-setting are more cynical. Bloomberg’s Robert Langreth writes that some desperate pharmaceutical companies are raising prices on products still under patent to offset losses from former blockbuster drugs that have lost patent protection.